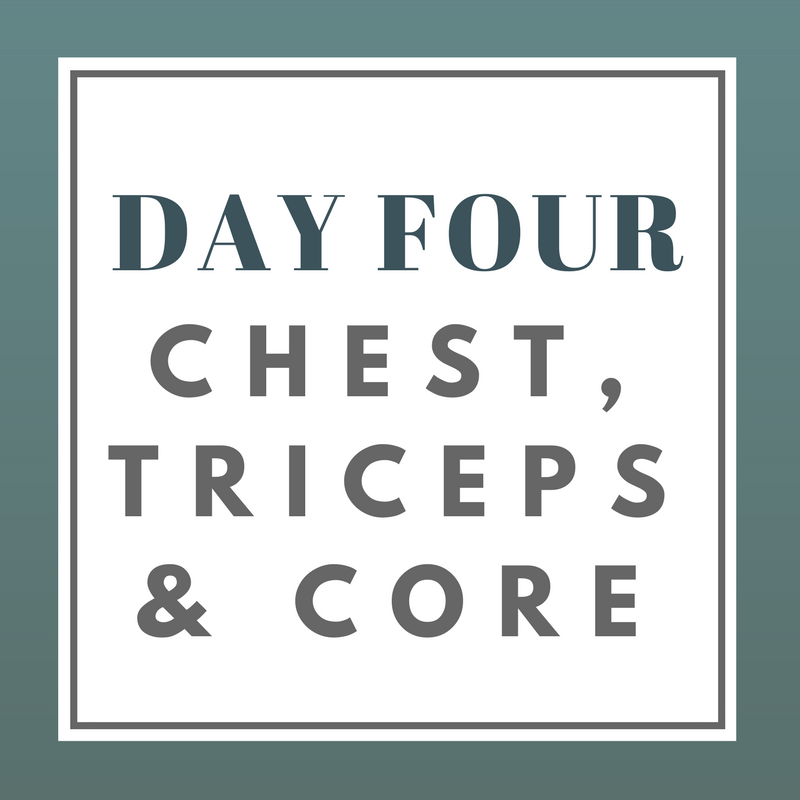 This chest, triceps & core workout may or may not be your actual day four workout. See how to schedule your workouts to determine what day to complete this workout. If you haven't done your sprints yet this week, today might be a good day! Read on Day Two what to do for sprints. If this if your actual day four workout this week, tomorrow is your target area workout day! Mentally prepare for this. Doing the same workout four times in one week (not to mention doing some of the same exercises in weeks one and two) takes motivation and determination. It's efforts like these that get you to your goals! Keep it up!